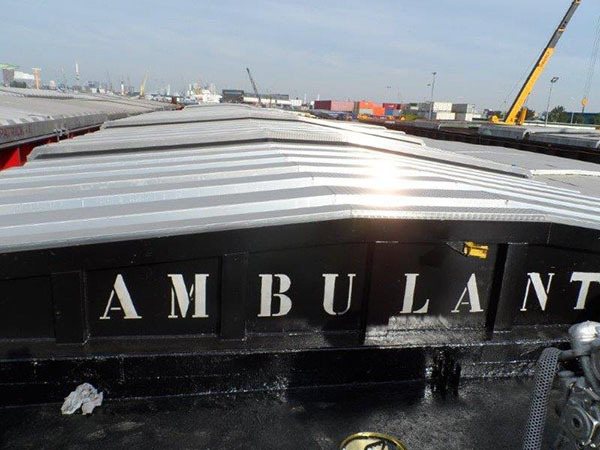 Eurobarges is specialized in transport on European waterways. With a own fleet of barges and pontoons, ranging from 450 ton to 6500 tons. The majority of those barges are covered with hatches. Our barges are specialized in the storage of various products, such as ground, animal food, fertilizers, petcokes, minerals, wood pellets, steelproducts, iron and other bulk goods. Our barges are fully certified according to current requirements and regulations, which makes them qualified for transport of coal, steel and container transport on the European waterways. Charging and discharging on the desired point of time. Our experienced and motivated staff is 24 hours a day available to get every transport to the desired charging- or discharging location.